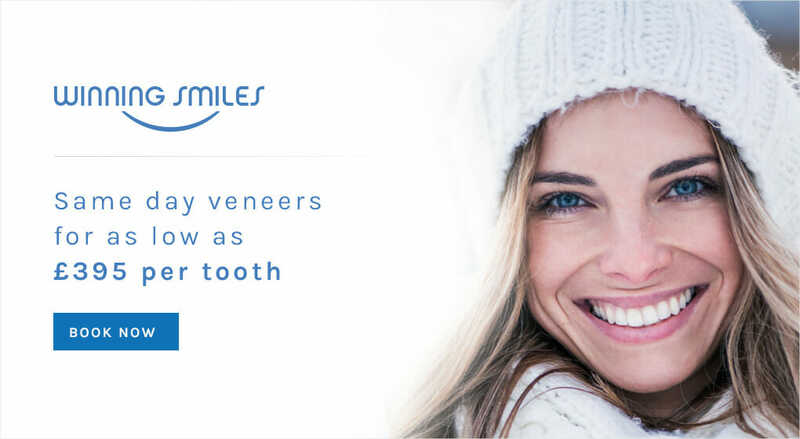 Also known as Instant Veneers, 'Immediate (composite) Veneers' are a new way of delivering Teeth Veneers that makes Cosmetic Dentistry much more accessible to a wide range of people. Once the decision has been made, why wait? Composite veneers are fitted in a single visit, whilst avoiding the 'irreversible' nature of conventional smile-design/ceramic veneers. Teeth don't have to be ground down. And lastly, Immediate Veeneers don't have the 'fragility' of ceramic veneers, so if one breaks or chips then it is easily repaired: the whole veneer does not have to be replaced. These are not 'temporary' veneers, they are designed to last. The only downside is that the 'lustre' and surface finish is not quite as good as ceramic (but look at the difference in cost!) and they will stain more easily (so patients need to have them polished annually). Finally, the dentist has to be very good at shaping and polishing! This last point is important. Immediate veneers rely on the artistic skill of the dentist. For some dentists it may not be possible get good enough results this way which is one reason why getting ceramic veneers 'ready-made' by the technician is so popular with dentists! Without seeing things for ourselves, we can't tell people what their options are. We set out to be a friendly practice and try to provide everybody with what's right for them, at an affordable cost. We hope our dentist reviews give that impression.